Five years ago, on todays date, I reloaded my first round of ammunition. 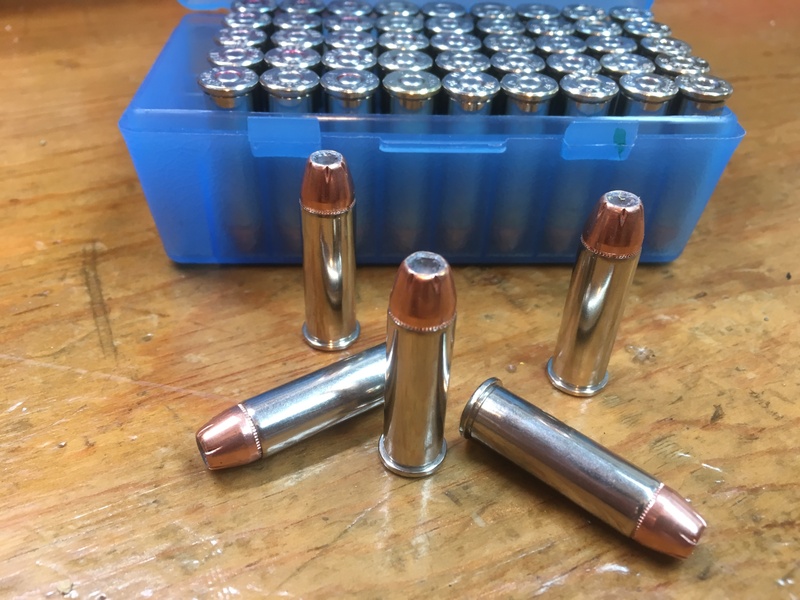 It was 45acp with a 200gr Hornady XTP. 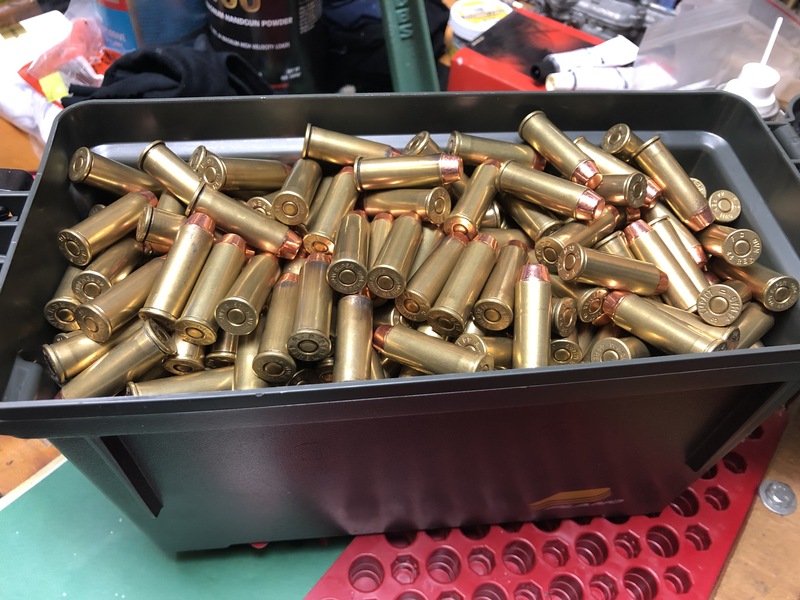 The next day I loaded some 38 specials and then some 357 magnum. Those were the only dies I had at the time. Since then I have added 9mm, .380 and .40 S&W. Have probably loaded somewhere in the 20,000 plus range. I load more 38 specials than anything else. I find it to be relaxing to sit down with some good music playing and crank out 100 rounds on my Lee classic turret press. SilverAnn, lesptr, dennis40xnc and 15 others like this. jeepnut, jonesy814, Thewelshm and 1 others like this. Minorcan, Ratzo, jonesy814 and 4 others like this. I have used it quite a bit in 9mm and .40. It's meters nicely and can achievement velocity for many cartridges. I did loaded some like the above about 4 years ago. My notes say I liked it in my 2.25 inch SP101 and that's why I want to try them in the m60. This was not a plus P load, but is getting close. Minorcan, jeepnut and msharley like this. I’d like to hear about the power pistol as well. 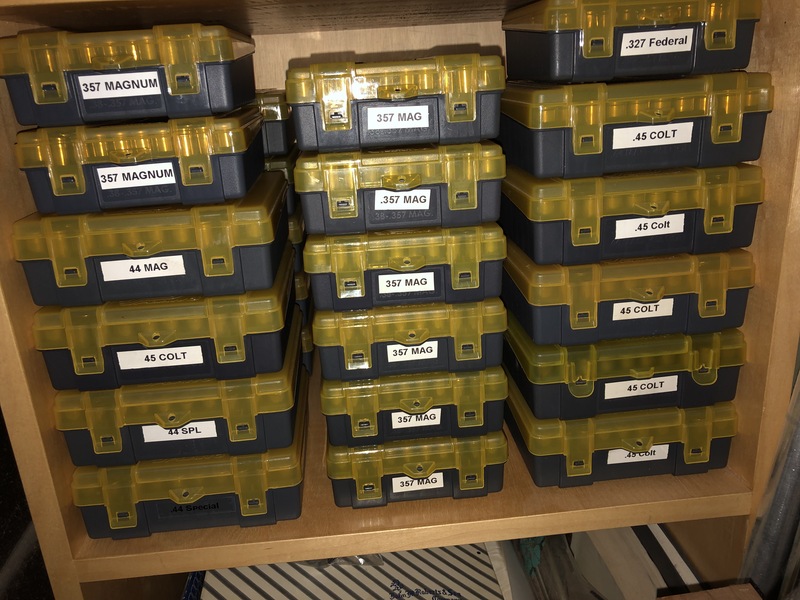 I’ve never found reloading to be much of a cost saving endeavor, but none of my hobbies are. But it certainly is relaxing and there is something very satisfying about looking at those freshly assembled cartridges, and then shooting them. jeepnut, jonesy814 and msharley like this. Some fine looking cartridges there jonesy ! I would hate to think what this would cost me if it was factory loads. jeepnut, jonesy814, msharley and 2 others like this. msharley, jonesy814 and Minorcan like this. msharley, Thewelshm, Minorcan and 1 others like this. Five years really? You and I started together. I remember it well, Today i am loading 38 Long Colt for a 1892 revolver. Learn something new every day and stay young my friend. Don't save a nickel...............just shoot a whole bunch more! jonesy814, Thewelshm and 1MoreFord like this.